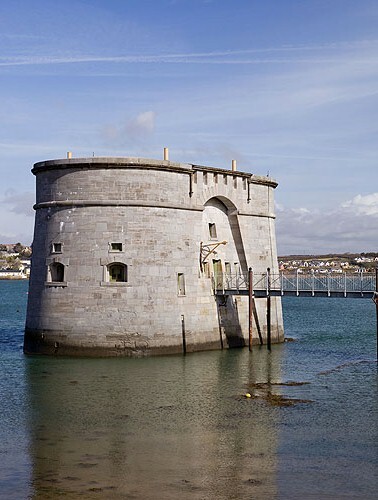 The Gun Tower ( Front St ) was built to defend Pembroke dockyard in 1851 .Now a museum . One of 3 Cambridge Gun Towers built in the haven . The fort could hold a Garrison of one officer and 33 gunners . Armaments :- 3 - 32 pounder smooth bore cannons on the roof , 3 - 12 pounder bronze howitzers on the main level. The armaments were removed in about 1881.